It became a viral approach around the world that has saved lives, promoted interaction among medical professionals, and been fun to boot. If you’re trying to signal someone with your eyes and everyone is wearing the same clothes, there can be delay in the designated person knowing they’re the one. If you say “Bob, I need…” it’s immediate. 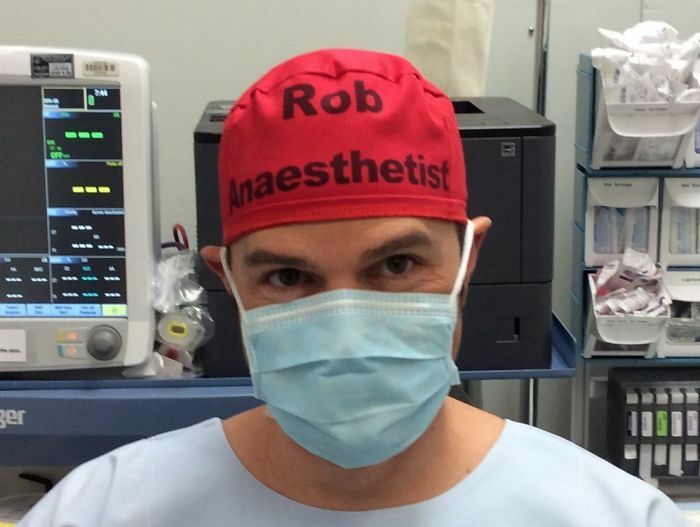 A surgeon, or anyone else in the room, can immediately call on the person needed by name and get their attention that much faster. People can arrange themselves around the patient more efficiently. It takes very little effort to see the pluses. Using someone’s name also advances the relationship. Medical professionals who may have come together for a one-time procedure are more apt to engage and possibly exchange vital information. Do click thru to the article which has many photos of people enjoying their labeled caps. Even the hospitals are happy as labeled caps are far less apt to be lost or discarded quickly — saves money. How neat, right?